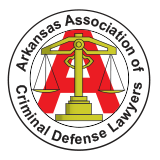 Law enforcement officers in Arkansas can commit serious acts of misconduct. Law enforcement officers can include a police officer, deputy sheriff, or federal law enforcement agent. Contact a civil rights attorney in Arkansas to discuss your rights after a case of police brutality resulting in serious bodily injury or financial damages.